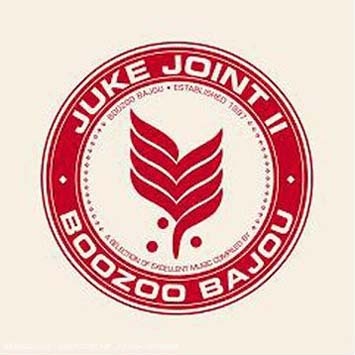 BOOZOO BAJOU make a welcome return after last years critically acclaimed 'Dust My Broom' album with the follow up to their equally applauded Juke Joint compilation from a few years back. It was well worth the wait as the downbeat dubsters again managed to line up an amazing array of quality tracks showing their intrinsic affinity with all things 'roots', no matter if it's Reggae, Soul, Blues, Folk, Jazz or original RandB. Underplaying the mixing in their trademark laidback style they still gel together the varying rhythms, musical styles and tempos in what must be THE perfect summer soundtrack. Highlights come courtesy of Alice Russel, The Meters, Mark Rae, Nicole Willis, Hanne Hukkelberg and John Holt but the absolute must haves surely are the exclusive Boozoo Bajou cuts 'Back Up' (featuring Stones Throw artist Oh No on vocal duties) and 'Der Pflug', and their remixes of Tony Joe White's 'Rainy Night In Georgia' (impossible to find!) and Gecko Turner's 'Dizzie' (as of yet unreleased!). JUKE JOINT II will be released on August 7th 2006 / USA: August 8th 2006. !K7 is giving away 5 of the highly limited special editions of the Juke Joint II CD! To participate, please answer the following question: What is a 'juke joint'? Please send an e-mail till August 17th to: office @ k7.com, subject: 'Juke Joint' Good luck!